This year’s British Retail Consortium’s Omni-channel Retailing conference, featured a number of retail chiefs from across the industry, including recently promoted Steve Robinson, CEO of Achica, Andy Wolfe, CIO of Shop Direct, David Walmsley, Director of M&S.com, Jon Wragg, Director of E-Commerce & Marketing at SuperGroup plc, Will Lockie, Programme Head Multichannel at Evans Cycles and Annabel Kilner, Country Manager of Made.com. Each talking about the focuses, pitfalls and priorities for the brands they represent there was one common theme throughout this Omni-channel conference and that was unreservedly ensuring that all platforms and all channels had the customer at its core. Flexibility, information, engagement, choice of delivery, free delivery, free returns, personalisation, exceptional customer service and innovation were paramount. Equally important were skills in data analytics, segmentation, social content, digital merchandising and interacting with consumers online and on phone. The winners are calculated but brave – crunch the data but test and go live at 80%. If you wait you could end up imitating. Andy Wolfe was the only one on the podium who spoke about the war for digital talent and that data scientists and platform architects are driven by the challenges of the work rather than the brand. That’s absolutely true and competition with VC-backed technology start-ups is fierce – yet during the lunch and coffee breaks the conversations were buzzing with the burning issue of attracting and retaining talent (not to mention discussions with Emily Moffat, Marketing Director of Crabtree and Evelyn and Davinia Jash, Senior Director Business Development & Operations at GAP about the lack of female faces in the room)! So considering this digitally focused approach from some of the biggest names in the retail market, where is your next CMO, Digital Director, Chief Customer Officer and Omni- channel Director coming from? The reality is there is an extremely limited pool of qualified candidates from within the retail community and whilst there is a new and upcoming generation being developed in the sector, retailers also have to look outside and appoint creatively. 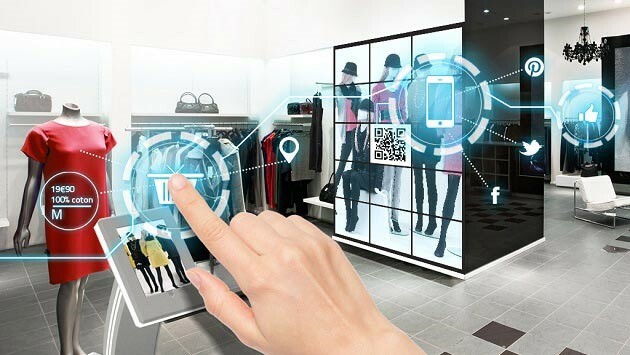 In this way, they will ensure commercial KPI’s are met and customers buy, are delighted and return – agile cultures enable multiple, coordinated retail channels. At court & spark we are nurturing relationships with established leaders in this field but more importantly we are building a network with up-and-coming talent who have been learning from digital pioneers at lastminute.com, amazon, Ebay and ASOS to name a few. We would be delighted to hear about your digital journey and discuss what talent might help your business innovate and grow across all your retail channels. Please contact: Fiona Davidson at fd@courtandsparkconsulting.com.